chhrystian is using Smore newsletters to spread the word online. The BAR was important to the war because of reliability in the trenches and because it could be reloaded faster than the German guns and could be shot by only one person. We were the first side and the only side to use it. The Bar was introduced during the last year of the battle so they did not see much action in the war. There is no specific way you can protect yourself from the BAR. The Marlin was important because is could shoot 650 rounds per minute and it was used on aircraft. We were the first ones to use it and Germany used a similar model but the Marlin was made for the US only. It was used in almost every battle. The enemy could protect themselves by hiding behind something. 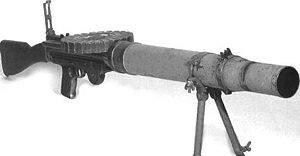 The Lewis was important to the war because it was a light automatic machine gun and it was considered the the best and most reliable weapon at the time. We were the first one to use them and they were later adopted by the British. They were used in the battle at the Berlin Wall. The enemy can protect themselves by hiding and being careful. The typical conditions or trench life was dreadful. Diseases were easily spread like lice and you could get trench foot from standing in cold damp mud from the trench and if you had to use the bathroom you had to go in the trench itself. Soldiers passed time by playing cards, digging more trenches, sleeping, and writing letters if given permission. Trenches were complex, comprising of many lines ll connected by communications. 2. line- first line of men. 3 line- reserves on call and officers. 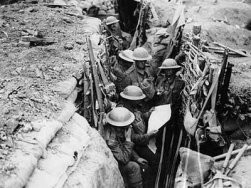 The Trenches were extremely effective because the were a good defensive warfare. Soldiers would only spend a little duration in the trenches. The soldiers pretty much had to stay inside the trench and play cards because of the gun fire and weather conditions. WW1 trench life in the First World War (from NZHistory net nz, ).